With its masculine design and soft material, these boxer shorts score points with demanding men. 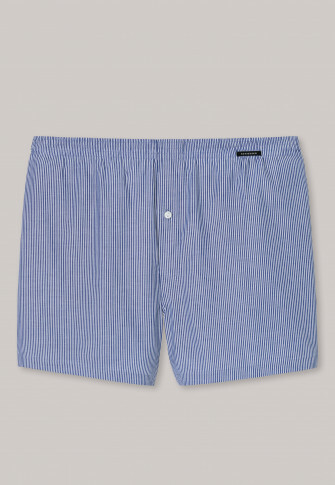 Fine, blue and white stripes give these shorts a fresh look, which is pleasantly soft on the skin thanks to the soft poplin woven fabric made of 100% cotton. The elastic waistband and functional button placket complete the whole comfortable look and win you over with the best SCHIESSER quality!